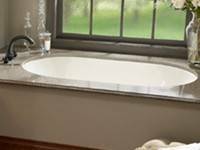 We carry quality bathtubs with thick acrylic and strong warranties. Our tubs come to you factory direct and we pass those savings on to you, giving you high quality at reasonable prices. Each tub is created at time of order and carries the manufacturer's full warranty. Many times the manufacturer's list price is given. If this is the case, drop us an email or give us a call so we can discuss fantastic sale prices. We offer free shipping (48 Contiguous States) on all our tubs. There are a lot of bath systems offered. With a soaking tub there isn't a system or jets. You can add a recirculating pump and heater to a soaking tub for a tub that will not lose water temperature for as long as it is on. You can have air jets for a light skin caress or water jets that provide a deep tissue massage. 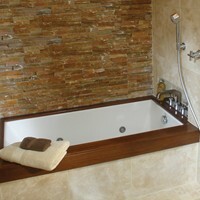 Or have a combination tub that uses multiple systems. 65" x 34" x 20"
65" x 34" x 22"
65" x 36" x 23"
65" x 41" x 21"
66" x 30" x 19"
66" x 30" x 20"
66" x 30" x 22"
66" x 31" x 21"
66" x 32" x 19"
66 x 32" x 20"
66" x 34" x 19"